African-focused gold exploration company, Vector Resources (ASX:VEC) has successfully completed a site visit and technical due diligence review for the purchase of 60 per cent of the Adidi-Kang Gold Project. This completes the due diligence period under the Heads of Agreement it executed with Mongbwalu Gold Mines SA and Fimosa Capital Limited. VEC has issued a notice of satisfaction of the due diligence to the two parties, confirming that it will proceed with the transaction. VEC’s technical team’s recent visit to the Adidi-Kanga Gold Project, was to assess the historical exploration and resource drilling, review the mining and metallurgical Feasibility Study work that was previously completed by Anglo Gold Ashanti, and inspect the significant mechanical mining equipment that’s on site. On 5 January 2018, VEC provided an update on the progress of its due diligence activities, reporting that it had not identified any major issues or highlighted any areas of concern. With the technical and legal due diligence now completed, VEC has confirmed that this earlier statement remains true and it has not identified any material or significant flaws. A number of positive findings were identified in the due diligence review, in particular the opportunity to incorporate additional areas of mineralisation defined by previous wider spaced drilling by AngloGold Ashanti into a new JORC 2012 compliant Resource, which VEC intend to complete in the March 2018 quarter. The review by VEC’s technical team of the estimated 115 sea containers – that approximate 70 per cent of the mechanical equipment required for the first process module under the previous AngloGold Ashanti Feasibility Study – was also extremely positive and the team noted that much of the equipment had not been touched and had been appropriately secured at the site. This equipment will be reviewed in more detail as soon as possible. As outlined in an announcement on 22 December 2017, VEC will pay US$5 million in cash and US$5 million of ordinary shares in the company 10 days after the execution of the formal transaction documentation. All that’s required now for the proposed acquisition is the completion and documentation of the joint venture agreements between the parties, as well as obtaining shareholder approval for the issue of the VEC shares. The company intends to hold an Extraordinary General Meeting of its shareholders as soon as practical. 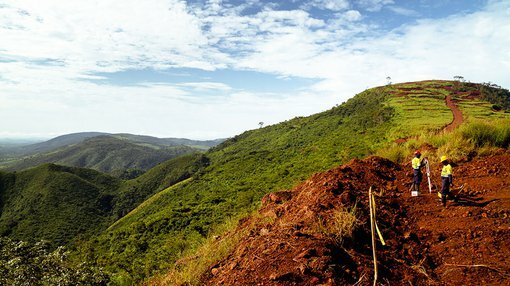 No further issues were discovered in relation to the development and mining approvals in place, which as previously noted includes a completed Environmental and Social Impact Assessment and financial guarantees in place with the appropriate regulatory and administrative bodies in the DRC. VEC, MGM and Fimosa Capital continue to advance the transaction documentation and remain confident that this can be completed towards the end of January 2018. VEC will seek approval to hold its EGM as soon as possible after the transaction is complete.